A new law passed by New York now permits abortion up until the mother’s due date, a horrifying concept some compare to Pharaoh throwing the Hebrew babies into the River Nile. One rabbi emphasized that abortion is murder, the destruction of a soul that is instilled upon conception. New York State Governor Andrew Cuomo signed into law the Reproductive Health Act on Tuesday night, enacting measures that will allow abortions in the state even if the federal basis established by the Supreme Court case of Roe v. Wade is overturned. The announcement came on the 46th anniversary of the still-controversial Supreme Court case decision in 1973. The law enforces access to abortions while removing abortion from the state’s criminal code and considers it a health matter. This is intended to protect doctors or medical professionals who perform abortions from criminal prosecution. The law also allows medical professionals who are not doctors to perform abortions in New York. The previous law only allowed abortions after 24 weeks of pregnancy if a woman’s life was at risk. As per the new law, Abortions can now be performed up until the mother’s due date if the fetus is not viable (would not survive out of the womb) or when necessary to protect the life of the mother. The new bill failed to pass the Republican-majority New York Senate in 2006 but the political balance in New York legislature has shifted, allowing the Democrats to enact their flagship legislation. The state is a forerunner in abortion and in 1973, New York became the first state to legalize abortion, three years before the federal government ruled on the constitutionality of the issue in the Supreme Court. 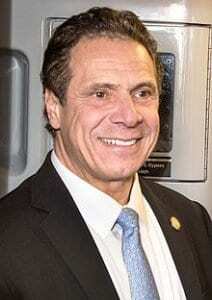 New York State Right to Life told CNN in a statement emphasizing that the bill Gov Cuomo “rightfully referred to as ‘the most aggressive’ abortion law in the country had been misrepresented to the public. “The Reproductive Health Act (RHA) was sold to the public saying it merely ‘updates’ the law by codifying Roe v. Wade into our statute, which is not true,” the organization stated. State Assembly Representative Nicole Malliotakis (Rep.) agreed, noting that the New York bill goes even further than the Supreme Court ruling by allowing physician assistants, nurse practitioners and, ironically, midwives to perform abortions. She was highly critical of the new law, arguing that removing abortion from the criminal code would mean that if a fetus died as the result of an assault on a woman there would be no prosecution. “We need to be honest with the public and say that this bill does not simply codify Roe v. Wade… what this bill does is expand abortion up to birth and the third trimester,” Malliotakis argued before the state legislature. Roe v. Wade permitted terminating a pregnancy “until fetal viability.” The decision defined “viable” as “potentially able to live outside the mother’s womb, albeit with artificial aid.” Still a matter of debate, this point of viability is affected as medical advances in neonatal care have set viability at a much earlier stage in the pregnancy. The New York State bill setting it in the third trimester clearly does not relate to this aspect of Roe v. Wade. Dr. Eli Schussheim is a highly regarded Israeli surgeon who is the director of EFRAT-C.R.I.B, an organization that assists pregnant women who want to give birth but can’t afford to keep their baby. He is not surprised at the new law, stating that like in most spiritual matters, the nations are following the example set by Israel. Dr. Schussheim suggested that Israel could be a light, revealing to the nations the solution. He explained that in his many years of experience as a physician, he could not remember a single case in which an abortion did not take a harsh spiritual toll on the woman. Rabbi Yosef Berger, the rabbi of King David’s Tomb on Mount Zion, noted that the advocates of the New York abortion law may have intended for its passage to coincide with the anniversary of Roe v. Wade but the date had a much deeper Biblical significance. Rabbi Berger emphasized that the prohibition against murdering was also contained within the Noahide Laws incumbent upon all of mankind. Rabbi Berger explained that a level of soul described in Judaism as Nefesh is instilled into the fetus at conception. The new law in New York was partisan and highly divisive, as is the issue of abortion. A recent Pew Research survey showed that 57-percent of Americans support abortion. It may divide the nation but it is an issue that is universal among religious people of all faiths. This unity against abortion was seen last Friday at the 46th March for Life attended by hundreds of thousands of people – with some estimates putting the figure as high as 650,000. This year’s march included some notable speakers, such as Dr. Alveda King, the niece of the famed civil rights leader Dr. Martin Luther King Jr., Ben Shapiro, the Orthodox Jewish editor-in-chief of The Daily Wire, and Catholic Archbishop Joseph Naumann. In sharp contrast, the Women’s March rally was held the next day in the same location but had a much lower turnout. Incorporating advocacy for homosexual issues and an anti-Trump agenda, the event was mired in controversy as the coordinators became embroiled in accusations of antisemitism. Despite a record attendance, there was very little media coverage of the March for Life. Most of the media over the weekend focused on a minor altercation that took place at the Lincoln Memorial after the march. Many major media reported that a group of boys from Covington High School, an all-boys Catholic School in northern Kentucky, surrounded Nathan Phillips, an elderly Native American man, and began taunting him who responded by beating a small drum and chanting in his native language. Some of the boys were wearing MAGA (Make America Great Again) hats from Donald Trump’s presidential campaign. The claims made by the media based on a two-minute video went viral and the boys were targeted by threats. A much longer video surfaced, revealing that it was Phillips who approached the boys. The boys did not taunt Phillips but he nonetheless beat his drum inches from their faces. Most, though not all, media retracted the inaccurate version of the event which blamed the boys. 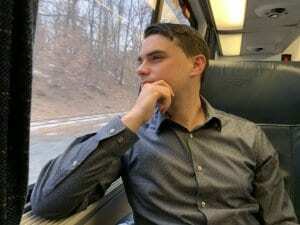 Ben Shapiro, a critic of the mainstream media which he asserts is biased toward the left, stated on his show that the bogus story was pushed forward in order to sway focus away from the great success of the March for Life and to demonize the religious attendees epitomized by the boys from Covington Catholic High School. Rabbi Berger pointed out that the only reference in the Bible to a pregnancy being terminated was a miscarriage that resulted from an attack against a pregnant woman.